Try it if you know how to install is and like good free software, this is among the best! Tried this a couple times in the last few years. Nothing but problems. Doesn't install properly. Lots of files dont open correctly. I have MS office and downloaded open office and had no probs with either of those. Running win 10. So its a newer laptop. My disappointment in this supposedly good office suite is the complete lack of options in selecting which programs a user wants to install. For example I want to install only Calc, the spreadsheet program, but it is impossible to do this. With this unfriendly program it is all or nothing. Then it is nothing for me as I will still not install this irritating program till this shortcoming is fixed. I can confirm with Gadget about the rendering issue. But for me it was with a doc created in office 2003. Didn't notice the problem till I printed a doc and I saw it came out strange in Libre. Even though If I open it up in office 2003 it looked fine. Someone has to keep microsoft honest, if we didnt have the open document foundation, MS would release a new version of office every year with some incredibly minor change and force everyone to pay for the update or risk being 'backward incompatible'. Screw ms, they should be dead soon. 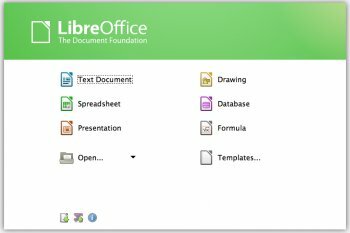 LibreOffice is fine if you keep office documents strictly in office 97-2003 (.doc/.xls/.ppt)format or open document format (.odt). If you exchange documents with an external company using office 2007 or higher, your docx/pptx/xlsx files may not render properly, or worse, objects will become missing or line objects will convert as shapes instead of line connectors. I have reported these bugs awhile back,as they are absolutely critical if you exchange office documents in 2007-2013 Office XML format. For example, create a new impress document with 2 smiley face symbol drawings and connect line connector between them, and save it as .pptx. The line connector completely disappears. Now reopen the same document and resave as .ppt file, everything disappears. Always thought this was pretty good. Now I up it to 5 star status. The few things it didn't do that MS Office did are now included in this version. UI also looks great. Runs fast. If you don't have an office software package on your pc, than this is a great free package to install. If I'd claim to be satisfied (with LO) it would be a clear fairytale. Well, I'm simply disappointed, that LO offers me to convert Microsoft Documents, but a simple OpenOffice Calc Document is nearly impossible to import to LO and even crashed my LO 5.0.0.2 (RC2) several times. That's even more poor, when I consider, that LO was made of OO's Source code. That shows me: Claims of compatibility - no matter what LO is called to be compatible with - can be seen as very doubtful. I still have no idea how to port a Calc document of OO to LO and LO doesn't offer a software solution. My everything-but-good rating comes from that - in my eyes - real weakness as well as some occasional problems I run in while creating text documents. Would like this to be near the size of OO. Pros: I use the Portable version of this and have never had a problem with it. I like it, it works well and does what it says it will do. Portable, no installation problems. I use to use the install version and still had no problem, but the portable does the same thing and works just as well. Bottom Line: Try it if you know how to install is and like good free software, this is among the best! Bottom Line: Tried this a couple times in the last few years. Nothing but problems. Doesn't install properly. Lots of files dont open correctly. I have MS office and downloaded open office and had no probs with either of those. Running win 10. So its a newer laptop. Pros: Still not as good as Microsoft Office or WPS Office. Cons: Complete lack of installation options so a user may install only program/s that they want and need. Bottom Line: My disappointment in this supposedly good office suite is the complete lack of options in selecting which programs a user wants to install. Running LO on an old HP desktop running W7. Works without a glitch. For those who can't spell, get a dictionary. Been using Libreoffice since it broke away from OO. I have it installed on a PC running 8.1 and a Netbook running Ubuntu. It works perfectly on both platforms. Nothing wrong with this software. For me it does what it needs to do, opens word, power point and excel files. I downloaded both this and Apache Open office. Basically the same thing. Even opened the same doc in both. Beside the UI it had the same functionality. Both work well. Saw some complaints about the spell check. Worked fine for me. Everybody who's complaining has the chance to make it better, as it's open source. OOo is good, LO is better IMO. The changelog of LO 4.4.0 beta 1 (https://wiki.documentfou...rg/Releases/4.4.0/Beta1) shows 2476 (!!) fixes, which is obviously a lot, but at least LO is better and better with time. 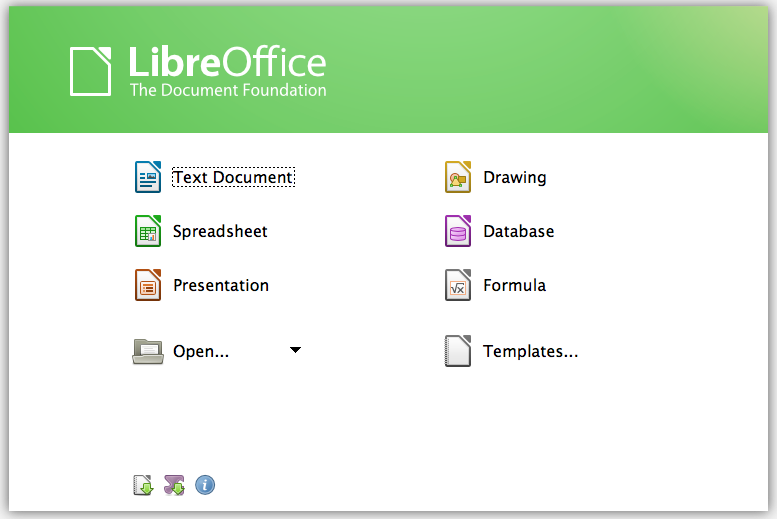 How can LibreOffice take itself seriously? The dictionary, spell check, and their non-functioning grammar check are a joke: completely useless. With these important tools functioning at a 5th-grade level I have no choice but to move on. Apparently, writing isn't that important to these developers.